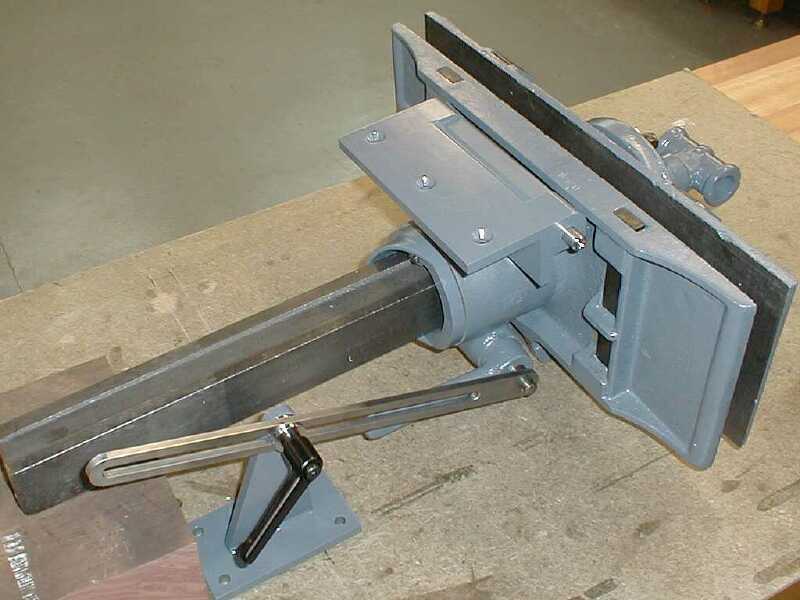 Fixing up an Emmert patternmaker's vise. 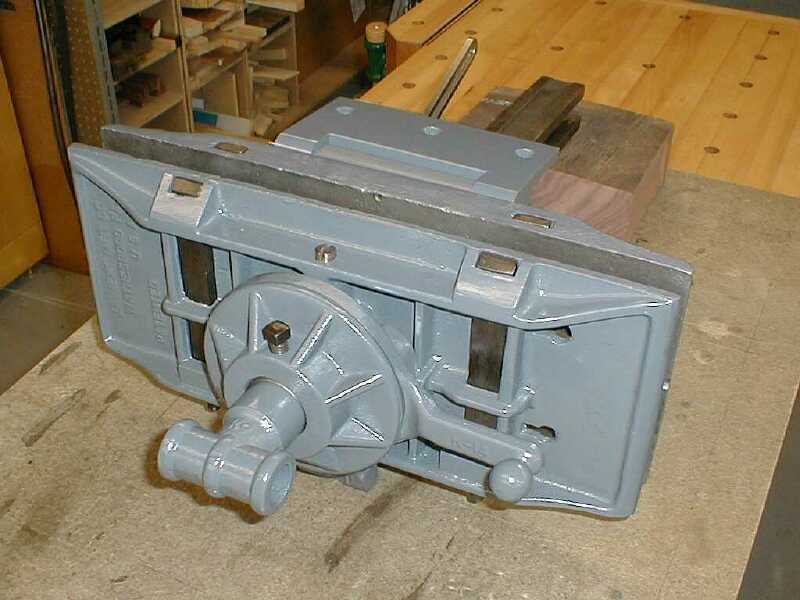 One Friday, I was having my morning coffee and perusing several local on-line want ads when I come across an ad that says: "Emmert Patternmaker's vise $150" and a phone number. I waited till about 7:30 AM to call. The fellow who answered told me that he had bought it 20 years ago and then never mounted it on a bench. He said it had no damage and some light surface rust. When I asked about the tilt lock parts I was told that "it never had any thing like that". In the pictures of Emmerts I've seen, the stanchion and sliding rod looked like they'd be fairly easy to fabricate functional equivalents so this wasn't a show stopper. I made an appointment to see the vise that evening. After driving 45 miles through some of the worst rush hour traffic that California has to offer, I arrived and met John, the owner. We went down the narrow stairs to his basement shop and I see an array of early 60's tailed devices and a small assortment of hand tools. He said he was a carpenter by trade. 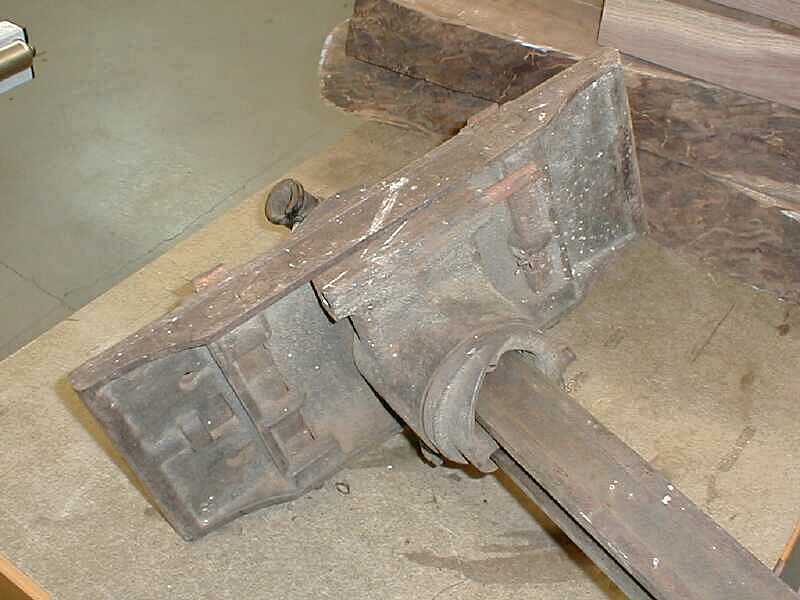 We lift the vise from a dark corner to the top of the bench. It was dirty, cobwebbed and rusty. The second thing I noticed was the mounting plate was MIA! I asked why hadn't he mentioned this on the phone and he started playing stupid "I didn't know it was missing". I guess we know why he never mounted it to a bench now, don't we? I'm a bit peeved finding this out after driving all that way. I continue to check things out. I don't find any damaged parts and everything moves as it's supposed to. All 4 dogs are present and the screw had been well greased many years ago. In spite of it's run down appearance, it seemed mechanically sound. I find it's got USN stamped in the top of the rear jaw, so I guess it's done a hitch in the navy. I figured that even if I couldn't find the necessary mounting hardware, I could probably part it out for $100. I offer the $100 & he comes back with $120. As I thank him for his time and head for the door, I hear "O.K. $100". The first two pictures show the vise as I purchased it. The next day I sent a message to the OLDTOOLS mailing list asking for help and a few measurements so that I could make the parts I needed. I soon had all the information I needed. 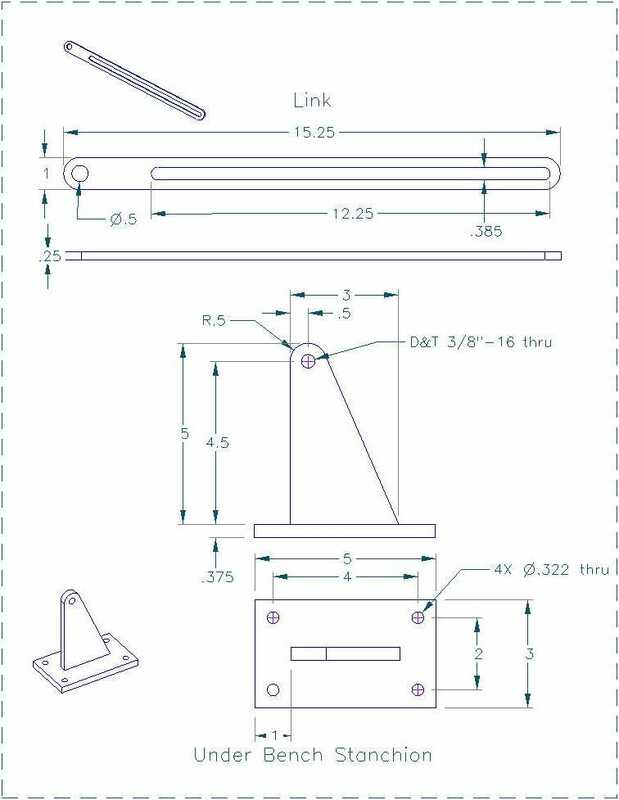 One list member even disassembled his vise and sent me CAD drawings. Galoot magic strikes again! 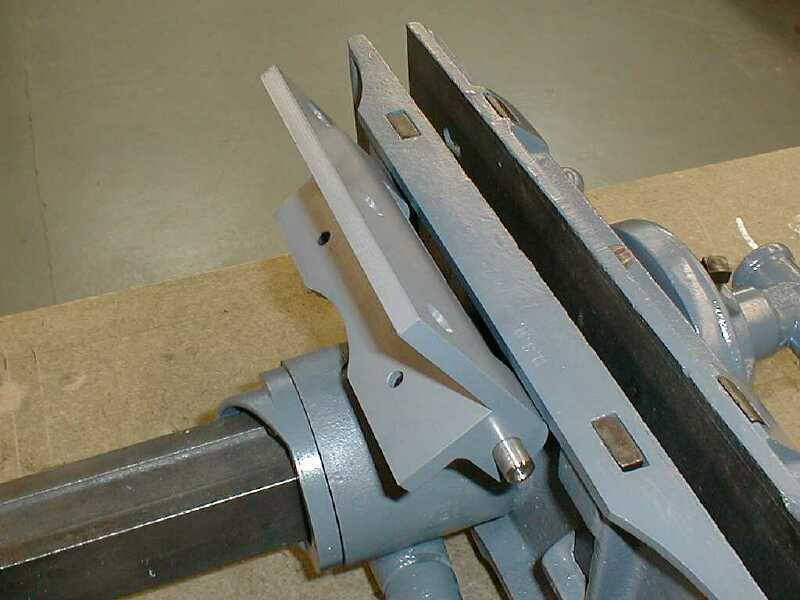 The third photo shows the hinge plate I fabricated. 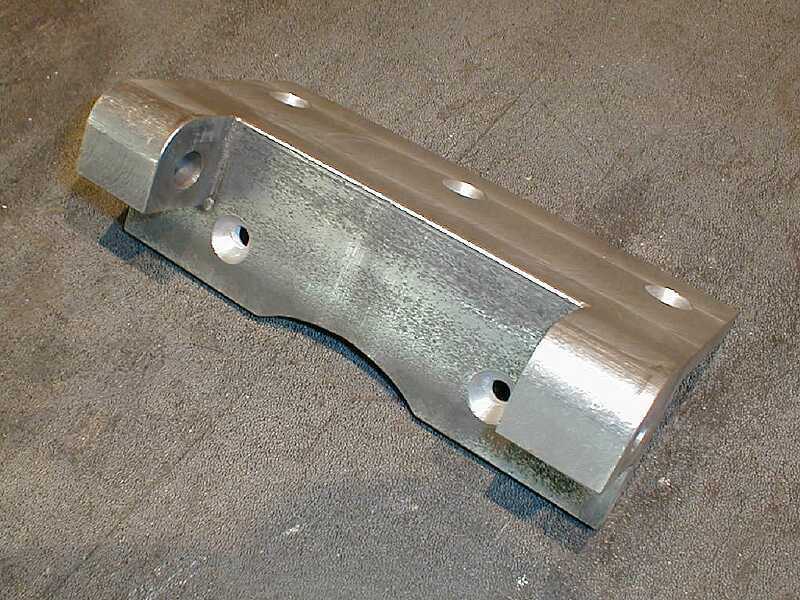 It's made from a piece of 3/8" X 3" angle iron with two 1-1/8" hinge knuckles welded in place. 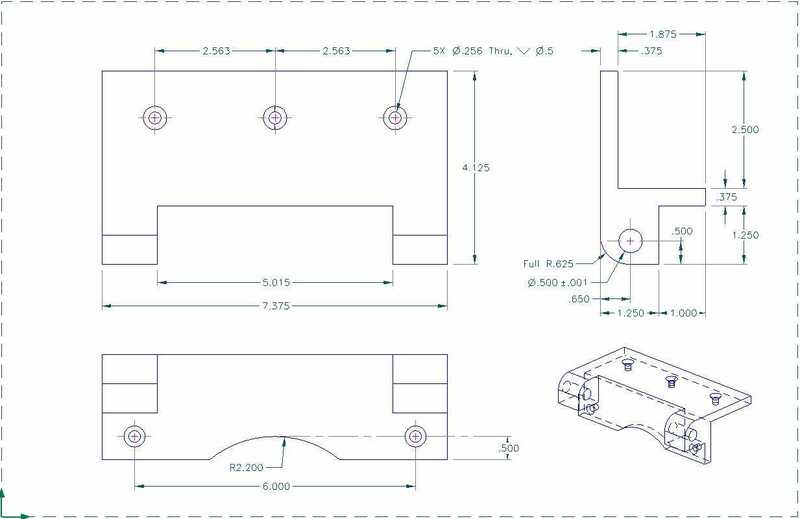 CLICK HERE to see the drawing of the hinge plate. CLICK HERE to see the drawing of the stanchion and link. It won't be mistaken for an original, but it works great and is a bit stronger. The fifth picture shows the tilt lock stanchion and rod I fabricated. The hinge pins haven't been pressed all the way in in these photos. I disassembled and cleaned all the other parts, I repainted everything machinery gray. Some will no doubt scoff at the repaint, but I found it had been poorly spray painted over rust and dirt at some time in the past anyway. 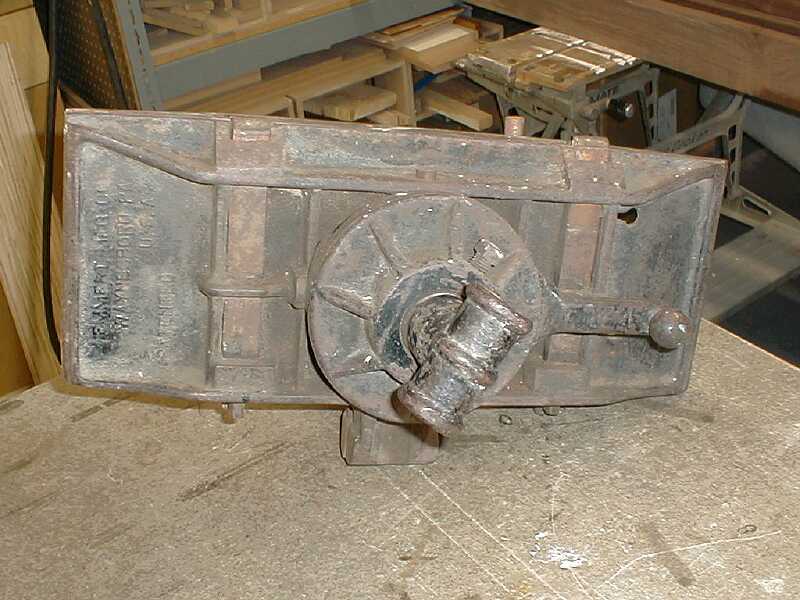 Along the way, I did find out that there are 2 old tool collectors that have a few parts for these vises. Neither had a hinge plate for my vise. I also learned that the made in Taiwan clone of the Emmert being sold by Woodcraft and others is a true copy of the smaller sized vise. This might be helpful if you are looking for parts for one. If you're interested in Emmerts or patternmaker's vises in general you really should take a look at The Iron Hand by Carl Matthews. He's done a wonderful job of documenting the various changes in a type study. There's lots of pictures and general documentation.